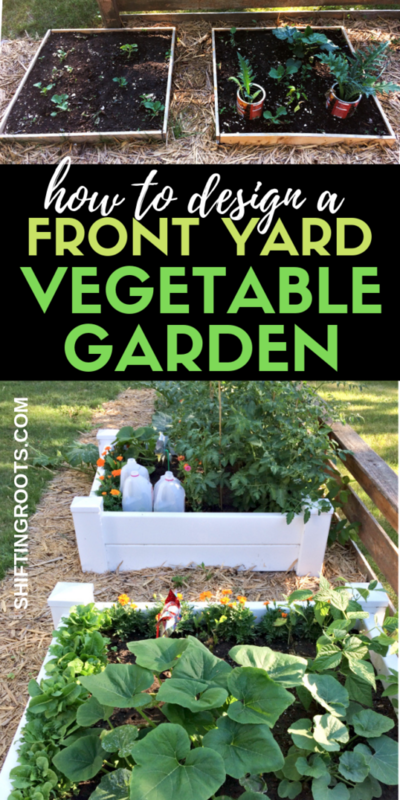 This post is sponsored by Raised Garden Vinyl Beds. I received free and discounted product in exchange for my honest opinion of their product. This post also contains affiliate links, which means if you purchase something using one of my links, I make a bit of extra coffee money at no extra cost to you. Thanks for supporting Shifting Roots! 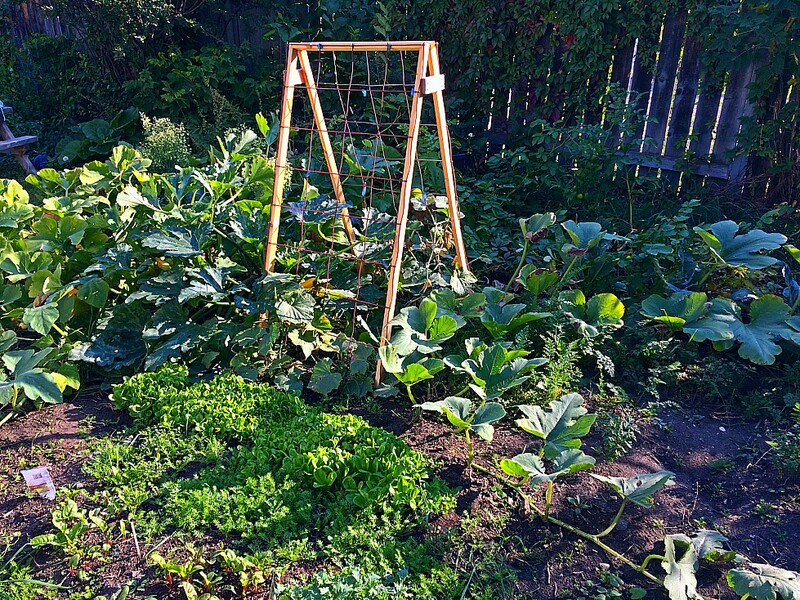 Last summer I made my first foray into the world of square foot gardening. 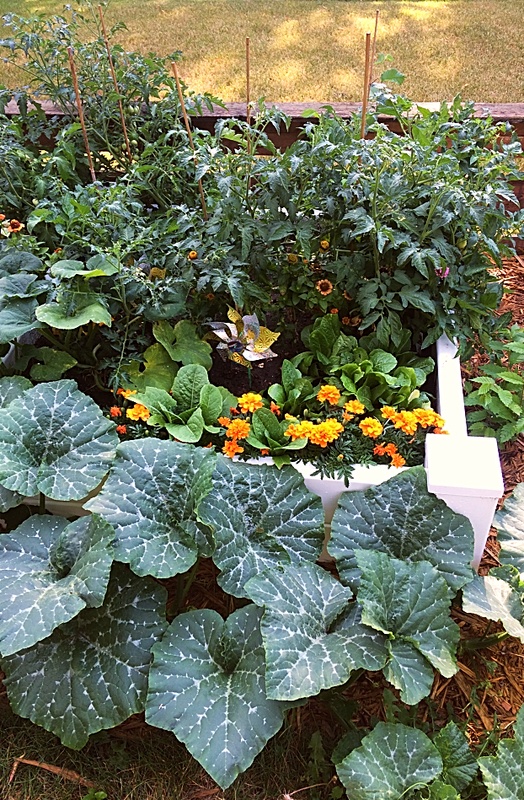 I didn’t know exactly what I was doing, but those raised garden beds I kept seeing everywhere on Pinterest intrigued me. 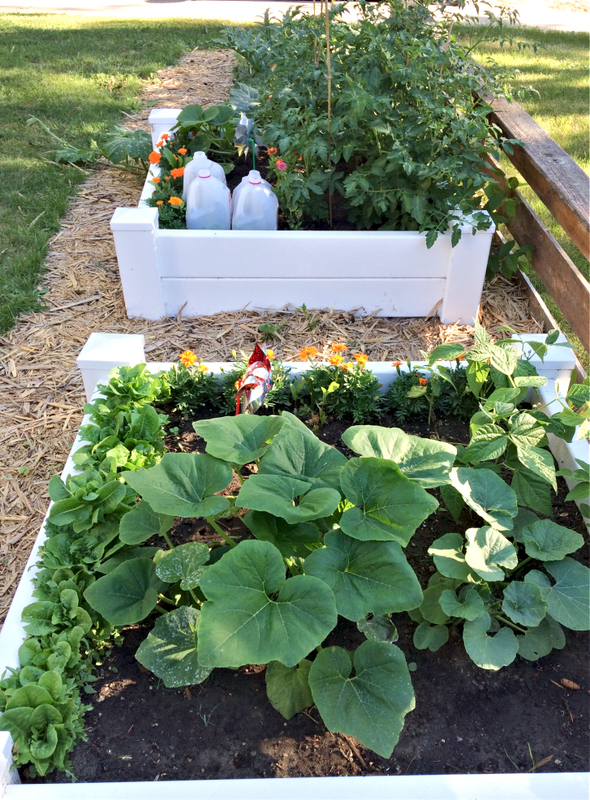 My husband and I knew we’d be making some changes to the yard, but we weren’t sure exactly how much we could do in one summer, so we decided to make our raised beds cheap and cheerful. That way, if we decided to change things we weren’t committed. 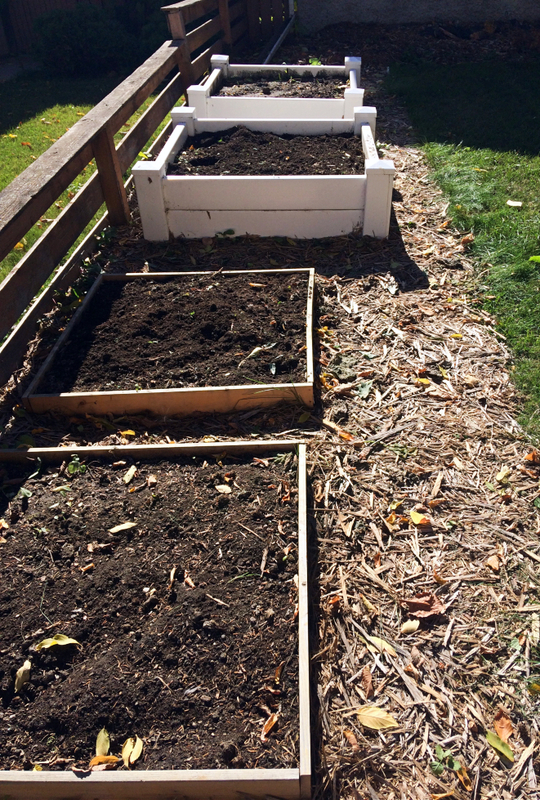 We built ours out of thin wood and filled them up with soil. They looked great and did the job beautifully. However, I began having doubts when the nails were starting to come out of one of them in the fall. We just built the things, and they were already falling apart? 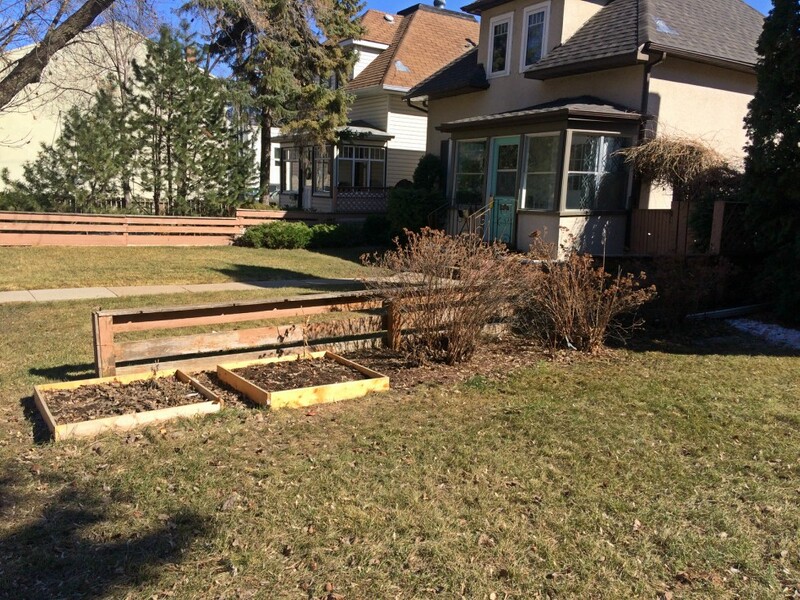 Once the snow melted it was clear that our sad little wooden beds weren’t going to last much more than one more year. The wood was starting to warp and the nails looked weak in another bed. To be fair, we could have built them a little better. 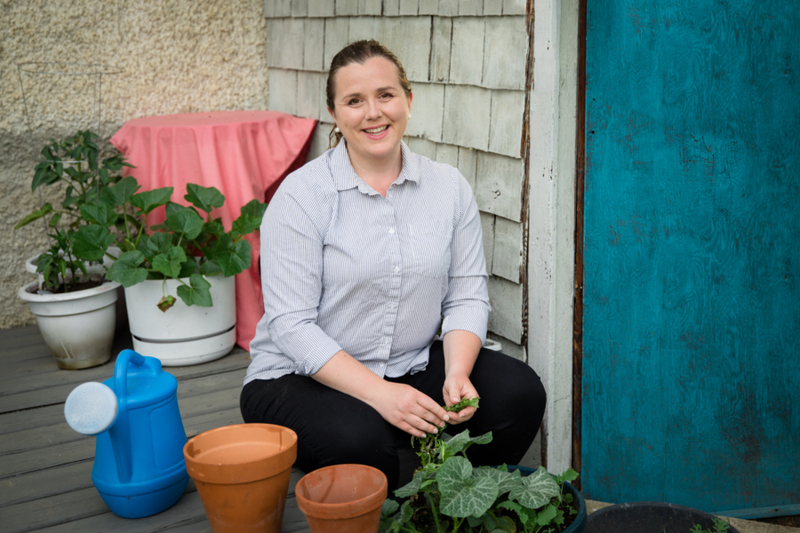 However, last year when I interviewed my friends Graham and Sarah about their yard, their built-with-better-wood ones were falling apart after 3 years. 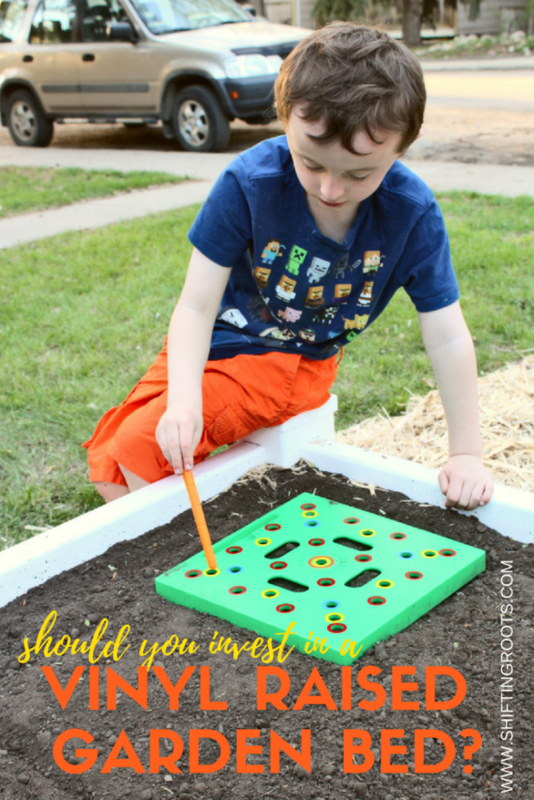 That’s why when I saw an ad for Raised Vinyl Garden Beds on Facebook, I had to check it out. The beds looked like they were built to last and the company was local–win-win!! 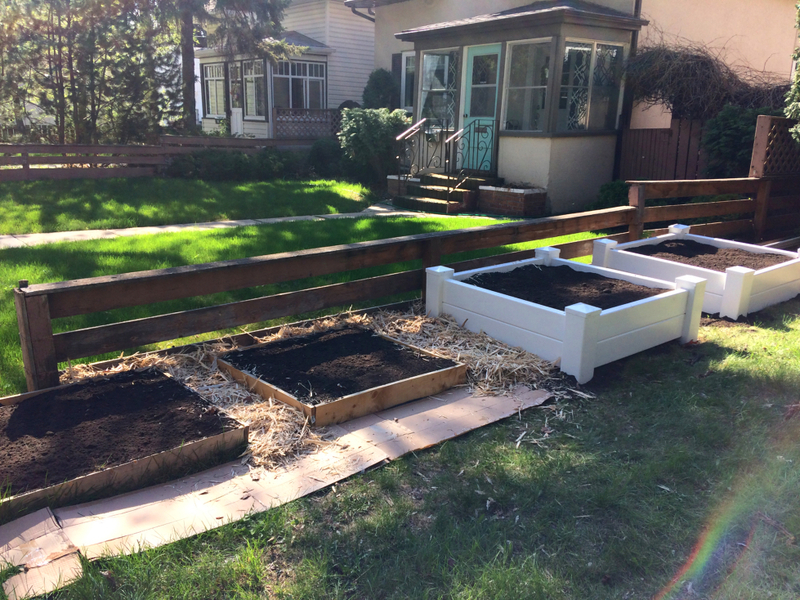 P.S.–Raised Vinyl Garden Beds ship to Canada and the U.S., so you can get yours even if you don’t live in Saskatoon and area. 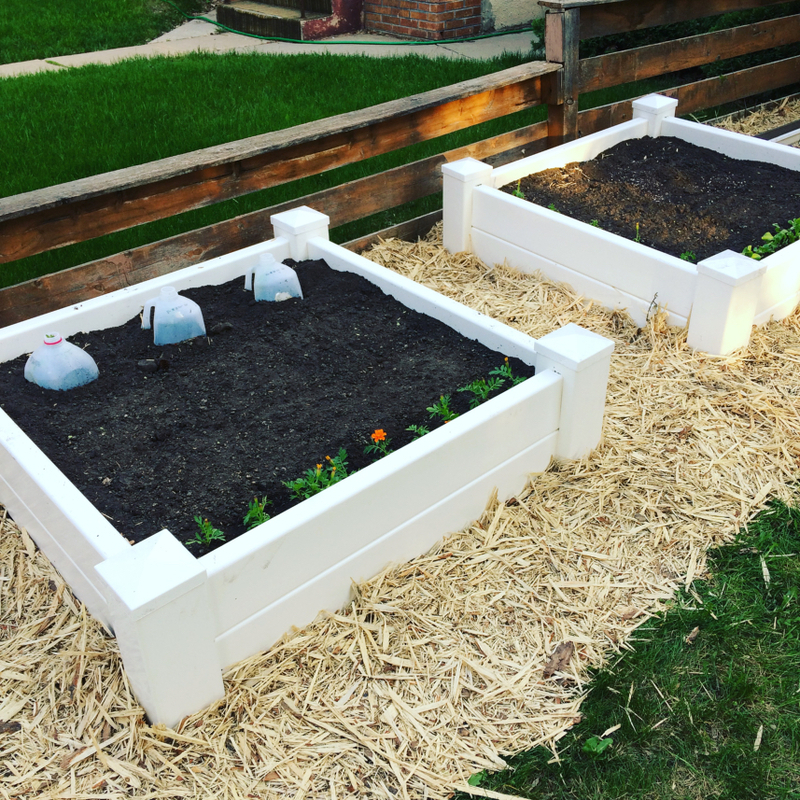 Get Your Vinyl Raised Garden Bed Set Up in 30 minutes–No Joke! I chose two of the 4×4 premium beds. I’ll be investing in a third and replacing the two sad wooden ones in my yard next year. The beds are fairly easy to put together, and it took me less than 30 minutes. It actually took me longer to look for a cordless drill, give up, and find the screwdriver. I had a little trouble keeping everything square, but with the second one I screwed in one of the corners first, then assembled everything and it was no problem. The directions say that you can use a screwdriver, but I highly recommend a cordless drill. I couldn’t find ours and ended up using a battery operated screwdriver. It worked well, but I had to push quite hard to get the screws to go in the vinyl. I know a cordless drill would have required little effort. 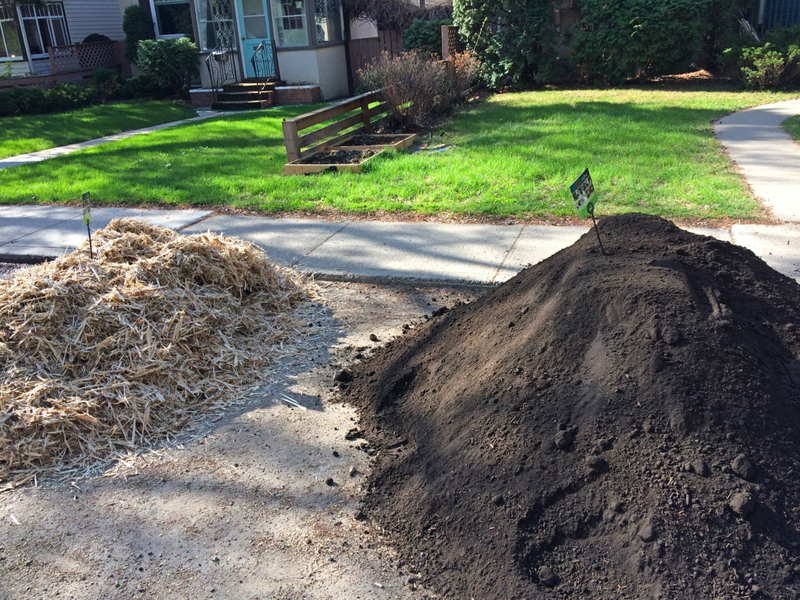 If you’re ordering soil for your beds, I recommend getting a mix of soil, compost, and peat moss. Your landscaping centre will likely call it something like garden bed mix. I found that one bed used up around 1/2 a yard of soil. 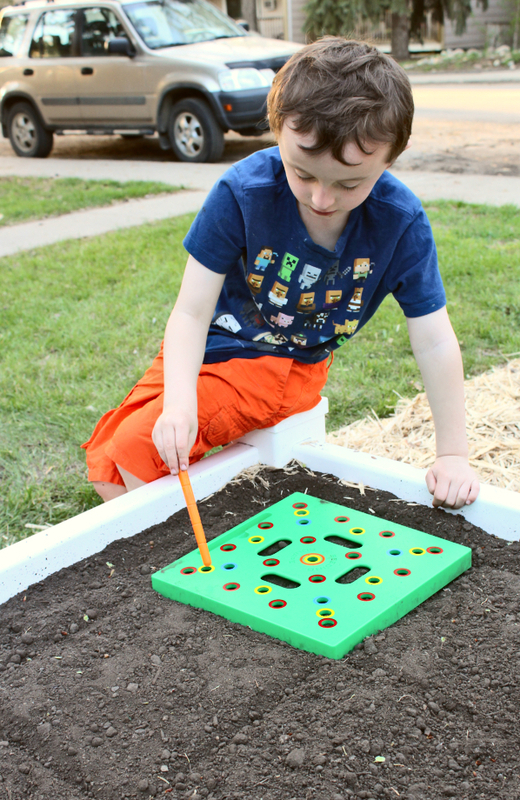 Once my beds were set up it was time for the fun part–planting! The beds are 3 1/2 feet by 3 1/2 feet on the inside. I used the seeding square to measure out and plant my garden, so I was left with a six inch strip on two of the edges. This was great, because I got in an extra row of marigolds and lettuce. Here’s what I planted in one of mine. Feel free to download the image and plant the same in your own! 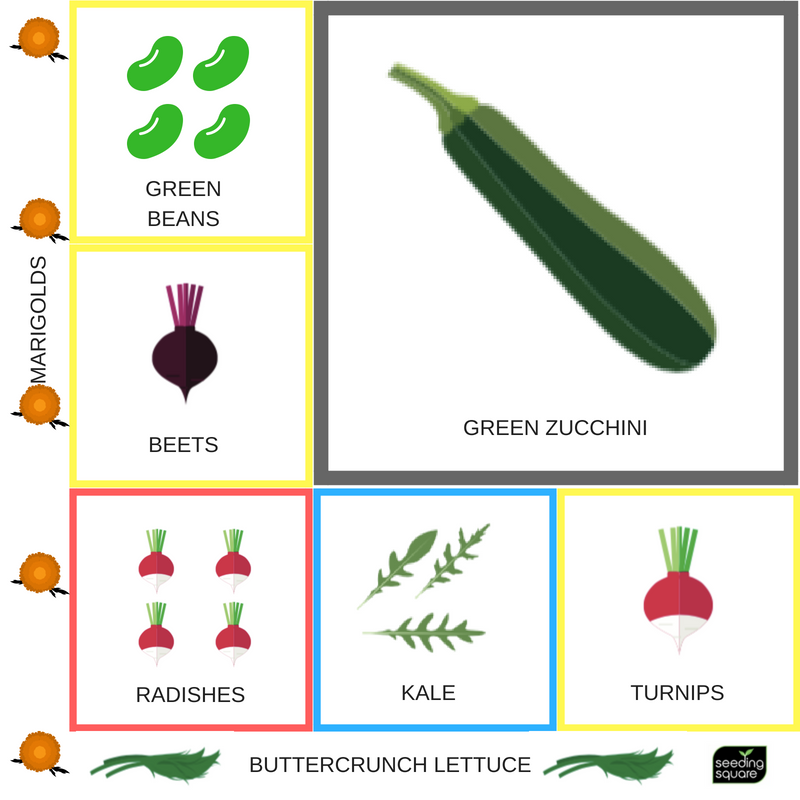 You can also download 4 more planting templates here. 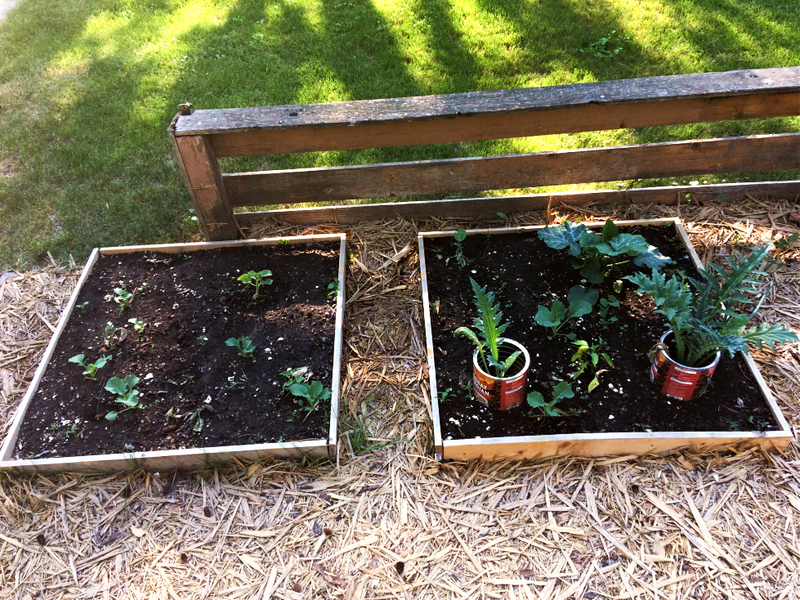 I am loving gardening in my new vinyl raised beds. I don’t have to bend as much, they look fantastic, and have serious curb appeal. I’ve noticed quite a few people check them out as they’re walking by our front yard, and had a few ask me where I got mine. They’re really sturdy and kid friendly, so I don’t have to worry about them falling apart if they get sat on, or my son getting splinters in his fingers if he tries to help me. Low Maintenance? How about NO Maintenance! Best of all, I will never have to build them again. 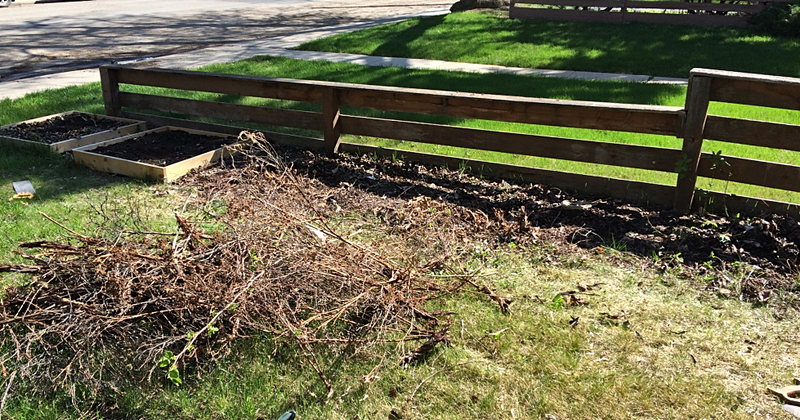 Because let’s be honest–who really wants to spend a weekend rebuilding your raised bed every 3-5 years, plus staining them every year? You might have the best of intentions now, but there’s something seriously demoralizing about rebuilding something you’ve previously built. Cedar is so expensive these days, that depending on how you build the bed, the cost is very similar to vinyl. I don’t know about you, but I’d rather be planting my garden or enjoying time in the sun instead of adding yet another project to my to-do list. 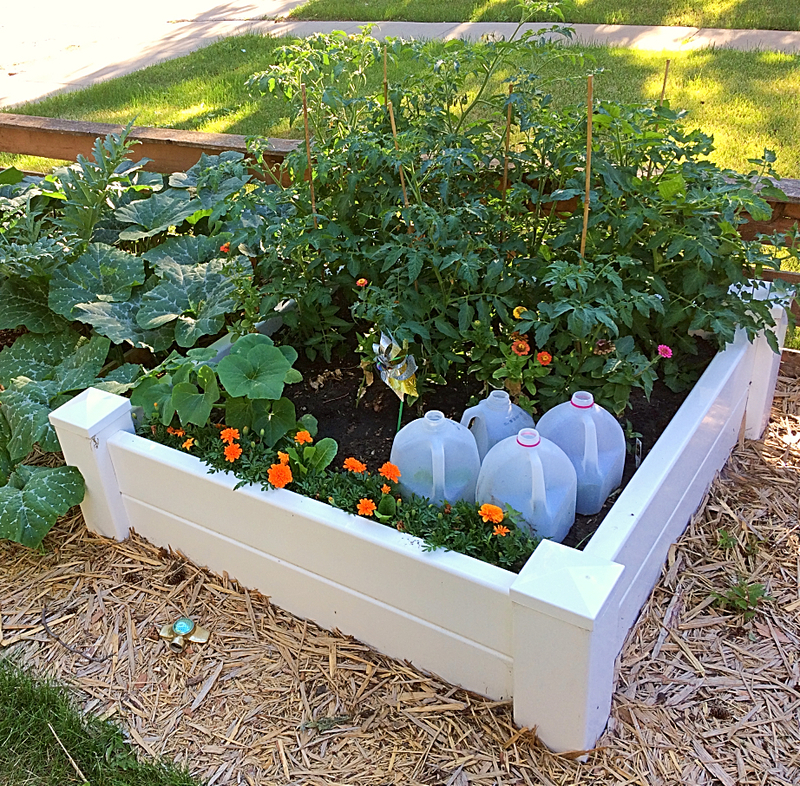 Raised Garden Vinyl Beds come with a lifetime warranty, so they will look good today and 25 years from today. Even cedar can’t do that. Want to get your own? Let me make the deal a little sweeter. 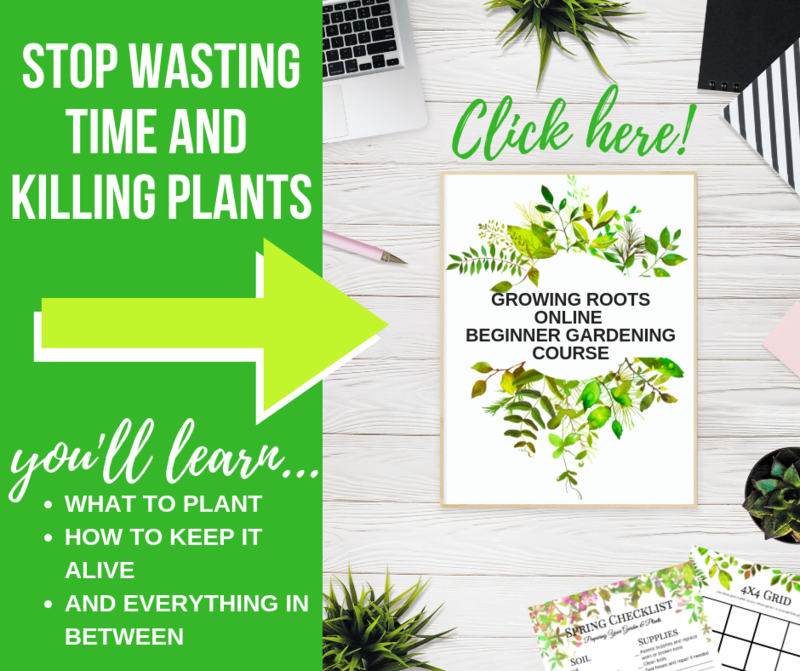 When you send me a copy of your Raised Garden Vinyl Bed receipt, I will give you my beginner gardening course for free–a $50 value! It’s almost May Long Weekend and I have been super busy getting my yard and garden ready. Come see my blood, sweat, and tears in this week’s edition of the yard transformation challenge. Thanks again to Nat of Simple Family Crazy Life for hosting this challenge! Gardening season is here! If you’re planting a vegetable garden this spring, you’ll want to check out these 10 items that make the job a lot easier. These are all items I personally use or are as close as possible to the ones I use myself. This post contains affiliate links, which means that if you purchase something by clicking a link, I earn a bit of extra coffee money at no extra cost to you. Thanks for supporting Shifting Roots!